The Brooklyn Blades Ice Hockey Club is a volunteer-run program that has been running community ice hockey programs in the NYC area since 1992. 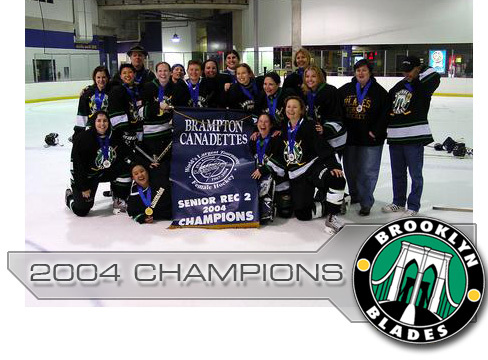 The Women’s program consists of a National D Level Travel Team. We play approximately 20 games against local women’s teams located in Long Island, Westchester County and northern New Jersey, with our home ice located at the Richard L. Korpi rink at the Bayonne High School, in Bayonne NJ. Practices are held once or twice a month from October through March for a total of about 8 practices. We are a USA Hockey insured team, which means all our players must be registered with the USA Hockey program (Click Here to Register with USA Hockey Program) to participate.